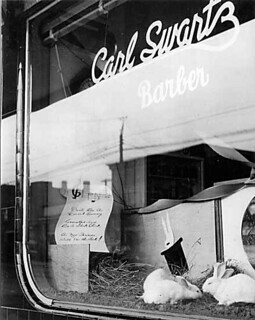 Rabbits in a Dunbar barber shop window, c. 1940. One of the great things about staying in a new city or neighbourhood is discovering its locally-owned, independent shops and stores. After all, why go to big box stores in another city when you have the same big box stores at home? 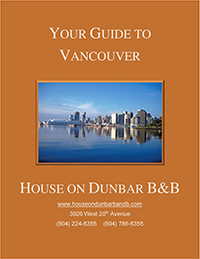 Vancouver has an amazing independent shopping scene, and a lot of these stores are located near our Vancouver bed and breakfast. Ready for some amazing original and independent shopping? Here we go! Local style guru Sarah Parsons owns Stylishmess, a styling boutique curated with care and love. Visit Sarah and her team for a personal style consultation, and come out with looks that flatter your shape and fit your lifestyle. 4481 West 10th Ave. If you’re into collectibles, stop by All Nations Stamp & Coin. A Dunbar institution since 1949, you’ll find the perfect gift for that stamp or coin fanatic you know (or, you know, for yourself!). 5630 Dunbar. Are you a fan of everything equestrian? Then you won’t want to miss The Carrington Shoppe. Outfitted with everything equestrian for women, men, children, the home and even dogs, it’s the perfect place to find the most distinguished riding gear in town. Tally ho! 3434 West 55th Ave. Independent bookstores are very much a rarity these days, but some survive thanks to a supportive neighbourhood. In Dunbar, its name is Carson Books. 4275 Dunbar. Taste chocolate like you never have before at Koko Monk, a store that’s quite unique in Vancouver. Koko Monk offers only the best belgian chocolate with the highest-quality ingredients. Their chocolates are all made by hand and presented as jewels, as all good chocolate should. 1849 West 1st Avenue. The Toybox is a small local independent chain with 3 stores in the Vancouver area. There, you’ll find unique toys gathered from all over the world. This is not your typical Toys R’ Us! 3002 West Broadway. Record stores, just like bookstores, have been going to the wayside following the rise of Internet-based media. But collectors and nostalgics will definitely want to stop by Zulu Records, where you can still find an amazing selection of CDs as well as LPs and vinyls. They also sell tickets for local shows and even have in-store performances! 1972 West 4th Ave.
As far as specialized bookstores go, you can’t get more so than Oscar’s Art Books. Featuring print-on-demand as well as video game art books (for which it is best known), you’ll definitely find something new there to put on your coffee table. 1533 West Broadway.